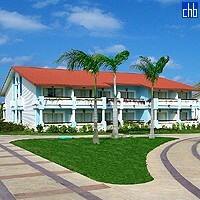 Hotel Gaviota Playa Pesquero promises to be one of the most beautiful, all inclusive resorts in the Playa Pesquero. It is located on Pesquero Beach, along the northern coast of Holguin province, Eastern Cuba, just a short ride from the village of Guardalavaca. 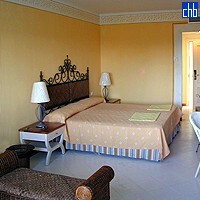 Designed especially with rest and relaxation in mind, this is a perfect hideaway for honeymooners and couples wanting a luxurious and relaxing vacation. 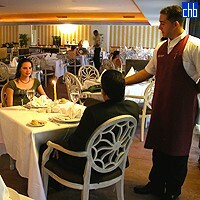 But not only couples will enjoy the splendid resort, there are many facilities for groups. 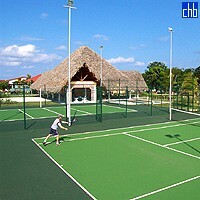 Playa Pesquero hotel is surrounded with the lush tropical vegetation of the nearby ecological park. Its construction and decoration recreate the region’s entire cultural traditions and reproduces elements which personalize it, such as Holguin’s oldest train engine, its roads paved as if they were railroad tracks, housing blocks with names of streets and places in Holguin and Santiago de Cuba. 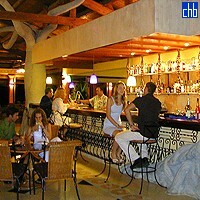 A very original concept of local traditions and Caribbean images to unite tourism and culture in one integral product. 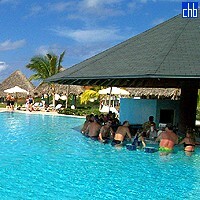 At Playa Pesquero you will find variety of day and night entertainment programs. 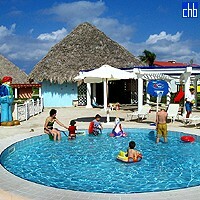 There are also special facilities for kids: swimming pool and a club.